The Serum wavetable synthesizer combines intuitive, versatile features and the ability to alter and manipulate waveforms in real time. Created by producer Steve Duda with Deadmau5 for their Xfer Records label, this standout synth sets a new bar in VST standards opening unlimited possibilities in sonic creation. 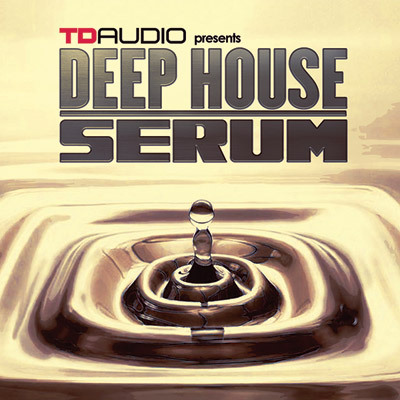 From our studio to yours, Deep House Serum is presented by TD_Audio, the powerhouse team of Twisted Reaction (Function Label Group) and Lenny Dee (Industrial Strength), two tenacious names in modern sound design. Combining cutting-edge gear with meticulous engineering and production, TD_Audio creates upfront production packs and kits at the frontline of dance music. Grab this Serum pack and jump into the deep sound of House. Please Note: Drums and Vocals in the Demo are for illustration purposes only and not contained in this pack. **You must own the Xfer Serum to use this pack.